Peru’s presidential election, won by Pedro Pablo Kuczynski, bore the hallmarks of Peru’s distinct brand of democracy – political parties that are mere temporary electoral vehicles with little ideology; strong anti-incumbent sentiment; and the absence of a serious challenge by the left. Neither Kuczynski’s Peruanos Por el Kambio (PPK) nor Keiko Fujimori’s Fuerza Popular is a party with any true structure. The fact that the acronym of Kuczynski’s party forms his initials and that Keiko Fujimori’s party uses a large K as its symbol underscores the personal nature of these parties and of politics in Peru. For the fourth time in a row, not only did the governing party not remain in power; it did not field a candidate – symptom of the deep distrust of institutions and unhappiness with the status quo in the country. The lack of a serious challenge by the left was also repeated. Although Socialist Verónika Mendoza’s effective handling of a press challenge to her heritage gave her a surge in nationalist and indigenista support, her campaign faltered when her economic policies came under scrutiny. The election also marked the emergence of a new generation of young antifujimorista activists who combined efforts on social media with traditional protests to undermine Fujimori’s electability. These efforts included the production and online dissemination of Su Nombre es Fujimori, a documentary that links Keiko to some of the worst abuses of her father’s government, as well as pillorying her distribution of Keiko-branded tupperware (called tápers in Peru) among the rural poor in an apparent vote-buying effort. Online voices ridiculed her by rewriting reports on the number of votes by which she trailed Kuczynski as indicating the number of additional tápers that she should have distributed, and the hashtag #KeikoTAPERdiendo – a colloquial pronunciation of “Keiko is losing” – was widely used to track reporting on the election. Whereas protests traditionally were organized by older demonstrators linked to Marxist parties, this year a Facebook-based group organized two days of nationwide marches of tens of thousands of mostly younger antifujimoristas. The weakness of Peru’s parties will complicate President Kuczynski’s efforts to govern, as it has with past presidents. Kuczynski’s narrow victory was largely due to the effort of this new form of activism – which he did not lead, which is not necessarily loyal to him, and to which he does not have any strong allegiance. His ability to continue to benefit from such efforts designed to shut fujimorista politicians out of office will be extremely constrained, particularly because his lack of support in the fujimorista-majority congress will likely compel him to adopt a friendlier attitude toward his former rivals. Kuczynski has previously stated that he would sign a law allowing imprisoned former President Alberto Fujimori, Keiko’s father, to serve out his prison sentence at home, a move that he may consider to secure the cooperation of the fujimorista congressional bloc to move proposed legislation forward. 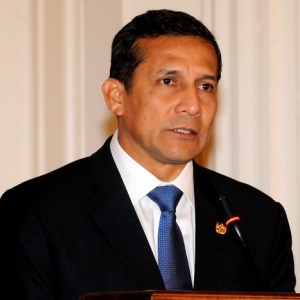 Such a move would be a major blow to Peru’s human rights movement, which spent many years campaigning to imprison the former leader, and it would also infuriate the antifujimoristas, bringing them out onto the streets once again. Fujimorismo and antifujimorismo may remain the most salient political positions in a country where economic progress has not improved people’s trust of the system, a recipe for further polarization that could overwhelm the Kuczynski government should it attempt to straddle the two positions in an attempt to overcome the weaknesses inherent in a system with no parties. * Michael Baney is Political Risk Analyst at Allan & Associates in Washington, DC.